A journey is best measured in friends, so invite all of yours to join your event’s excursion to celebration. Haze Voyage’s sophisticated blue-green geometric pattern is the perfect gathering place for your celebrations and conversations. 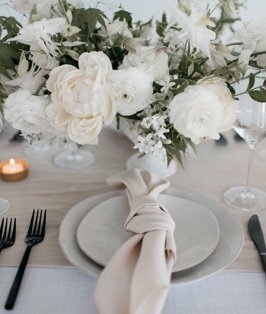 Forming a strong foundation for any tablescape, this linen brings the class to your event.